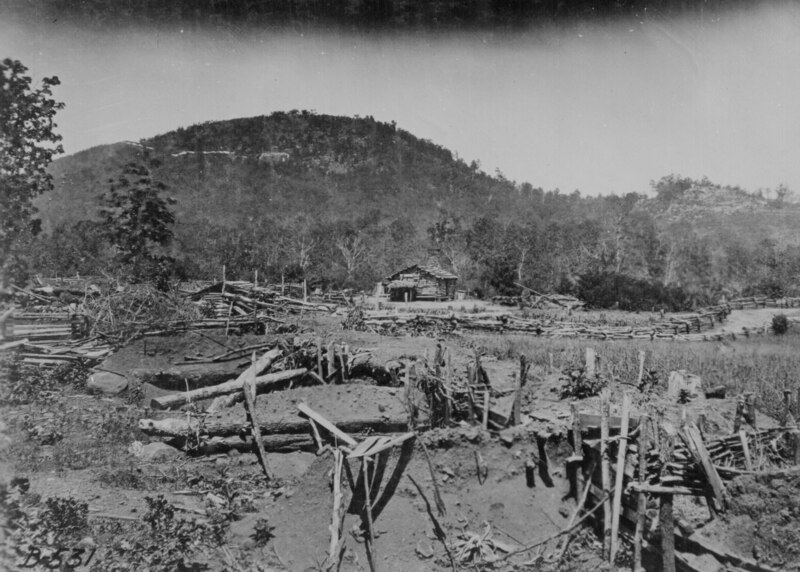 You are visiting a page from the "Cryes in North America Site "
NEW: Transcriptions of Crye Service Records from Tennessee, Georgia and Mississippi During the War Between the States. Service Records (Federal and Confederate) of Crye men from southern states. At present I do not have any photos of Cryes engaged in service to either the United States or Confederate States - However, photos did exist at least through the early 1960. However, we can find photos from places they served and the display of such photos may help us to better understand their expeeriences. Crye brothers served in the 37th, 34th, and 32nd Vol. Indiana regiments. The 37th and 34th regiments particpated in the Atlanta campaigne fighting in numerous engagements from Chattanooga to Atlanta. After the fall of Atlanta they went on participate in the March to the Sea which destroyed much of Georgia's agricultural production between Atlanta and Savanah. The March had a crippling effect on the South's ability to continue the war but it engended a deep bitterness in many Southern families that lasted generations. After capturing Savannah and offering it to Lincoln as a Christmas present Sherman turned North to bring devastation to the Carolinas. For these troops the war ended Goldsboro, North Carolina. From there they marched to Washington, DC to participate in the Grand review. Other Cryes served in regiments sent to occupy New Orleans and parts of Texas - The 32 Indiana Volunteers participated in the last land engagement of the War - a minor Southern victory in Texas. Three Cry men are listed in the Illinois Civil War data base as having served in the 33rd, 105th, and, 44th regiments. To find out more about these men and the regiments they fought in please click here. Cryes fought on both sides of that terrible war. Please click here to see the service records of Cryes from Southern states who served in the war.